Your Journey to wellness starts here. Call today. Welcome To Joseph K. Askinasi DC, DABCO! Welcome to the chiropractic practice of Dr. Joseph K. Askinasi! Dr. Askinasi is a chiropractor in Rye and Manhattan who specializes in chiropractic orthopedics and Applied Kinesiology. His advanced training has helped him become one of the leading chiropractic physicians in his community, and over the course of his career he has helped literally thousands of people manage or even recover from a variety of acute and chronic conditions. At the offices of Dr. Askinasi, you're more than the symptoms that brought you in to see us. You are a person first, with unique physiology, biology, genetics, personality, lifestyle, and experience. All of these factors come into play when Dr. Askinasi is evaluating you and devising a unique treatment plan that will meet your specific needs and address both the symptoms and underlying cause (or causes) of these symptoms. It's important to realize the underlying causes of dysfunction are often hidden or indirect; that is, they may not be actively contributing to symptoms in that particular moment, but are "setting the stage" for dysfunction. That’s why consulting with an experienced and knowledgeable chiropractor can truly make a world of difference for you, and even has you feeling better than you knew possible. Are you tired of struggling with chronic pain and dysfunction? Do you have an acute injury, or simply feel like you need some help optimizing your health? Call our Manhattan and Rye chiropractor, Dr. Askinasi. It's his honor to work collaboratively with each of his patients in order to find an appropriate plan of care that will meet their unique needs. To schedule an initial consultation in New York City, contact our Manhattan office by calling 212-557-5822, or, if you live closer to Rye, contact our second location at (914) 481-4692. We also invite you to explore our website to learn more about who we are and how we can help you and your loved ones of any age. Please don't hesitate to call; it'd be our honor to serve you! Learn more about Dr. Askinasi, how he can help relieve your pain and get you back to great health! 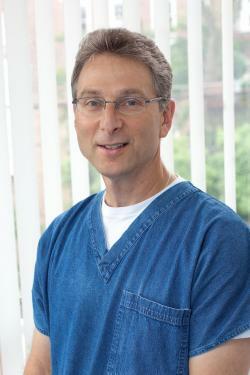 "I have been seeing Dr. Askinasi regularly for 11+ years and feel so much better than before I started seeing him. He really knows what to do to make you healthier and happier." "star I have been a patient of Dr. A on & off for a number of years -initially for back pain; however I quickly found his wisdom & knowledge far extends that of chiropractic services. No matter what ailes me, D. A's experience & expertise in wholistic care reaches the problem & corrects the issue - from muscular & skeletal complaints to combating a simple cold. I could not recommend a medical practitioner more highly."